Very nice! Makes a nice transitional bed. This user was entered into a sweepstakes after submitting their honest review. Update your bedroom with this soft and attractive eight-piece comforter set. The polyester filling gives just the right fluffiness to this comforter set while the bar tacking details give a more formal finished look. 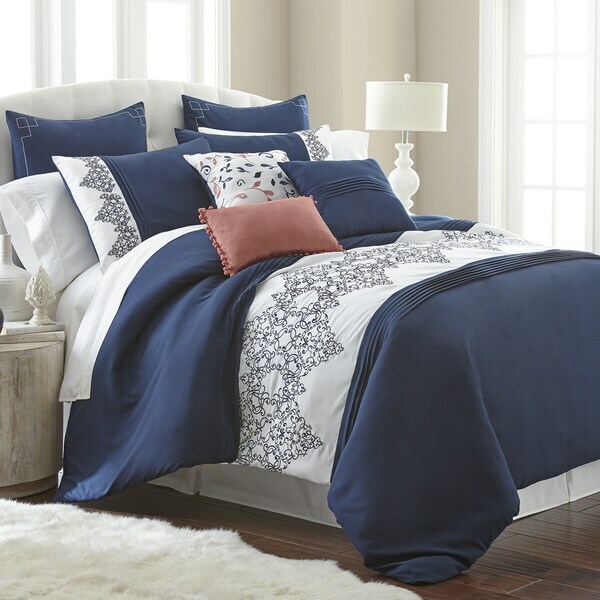 This set includes embroidery-detailed euro shams, decorative pillows, pillow shams, not to mention an oversized, overfilled comforter wrapped in 100-percent polyester. Very soft and beautiful color that matches perfectly! Great value. Just as expected. Will look great in new home. Very poor material. Not worth the price. Do not buy it. Very nice! Makes a nice transitional bed.